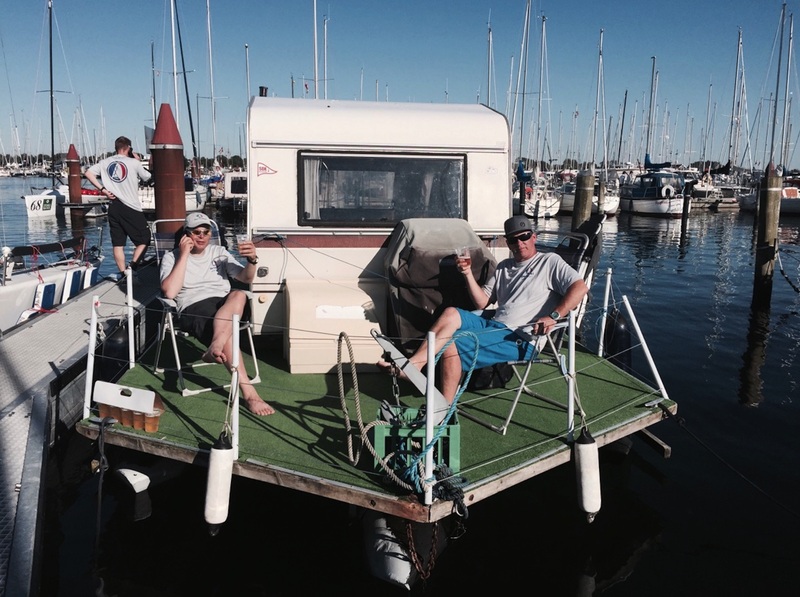 Penalty Box Productions’ Petey Crawford and Melges 24 Class President Jens Wathne take a short break from the action at the M24 Worlds in Middlefart, Denmark, where moth and 49er rivals Bora Gulari and Chris Rast have been battling it out all week. Rast capitalized on yet more mostly non-planing conditions to take three bullets today, with Bora losing positions to both the Rastaman and Italy’s Andrea Rachelli. Watch it live over here for a couple more days. Petey’s got a bang-up gallery of beauty shots over here and be sure to check in on the front page for more great work from Petey during next week’s J/70 Worlds in La Rochelle, FRA.